Treat you kid with one of our outragously awesome themed kids beds. 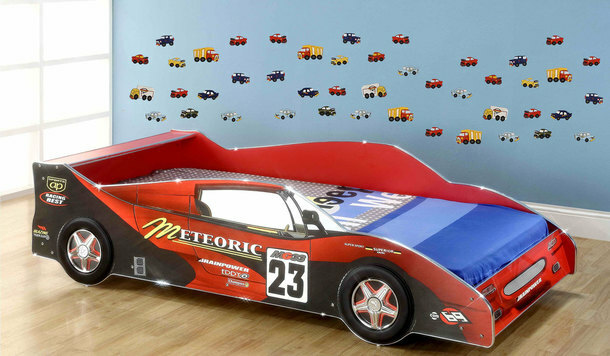 We have childrens beds in every variety from racing car beds, to girls themed novelty beds. Help you kids imagination run wild at bed time whether they are playing race car driver in a racing red car bed or a princess in one of our unicorn beds. We have one of the largest ranges in Australia and free pick up from our Sydney showroom. We also stock a huge range of kids bunk beds. Shop the full range below and call the sale hotline for a deal! Pre-Order Now FIND A LOWER PRICE?